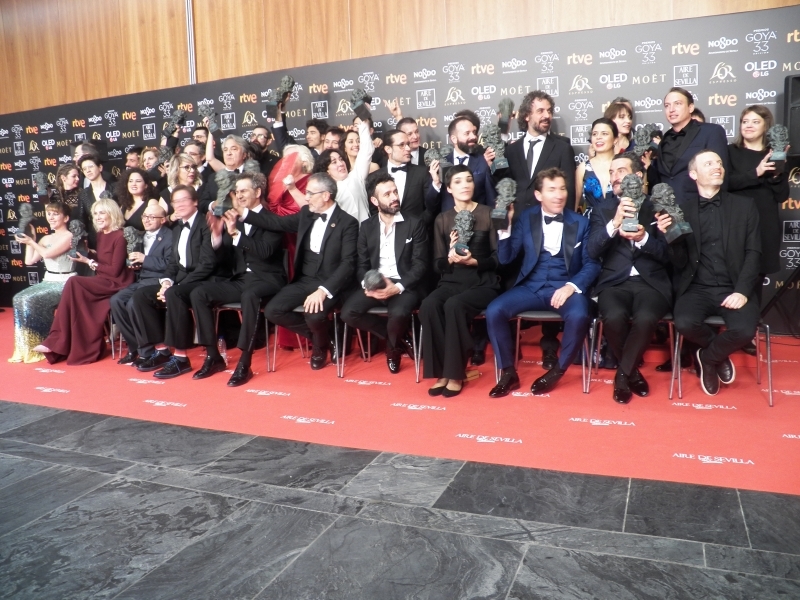 USPA NEWS - 'Campeones' (Champions), directed by Javier Fesser, won the Goya Award to the Best Spanish Film in the 33rd Goya Awards gala celebrated in Seville (Southern Spain), a city that overturned with the party of the Spanish Cinema. Hundreds of people concentrated before the Sevillian Palace of Exhibitions and Congresses to see and applaud their favourite artists. 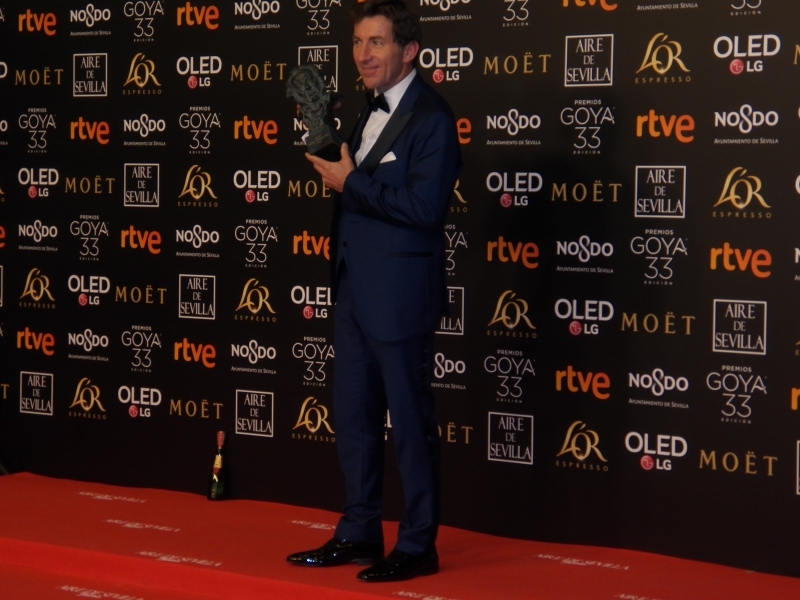 This was the second time that the Goya Awards gala is celebrated out of Madrid and was success. 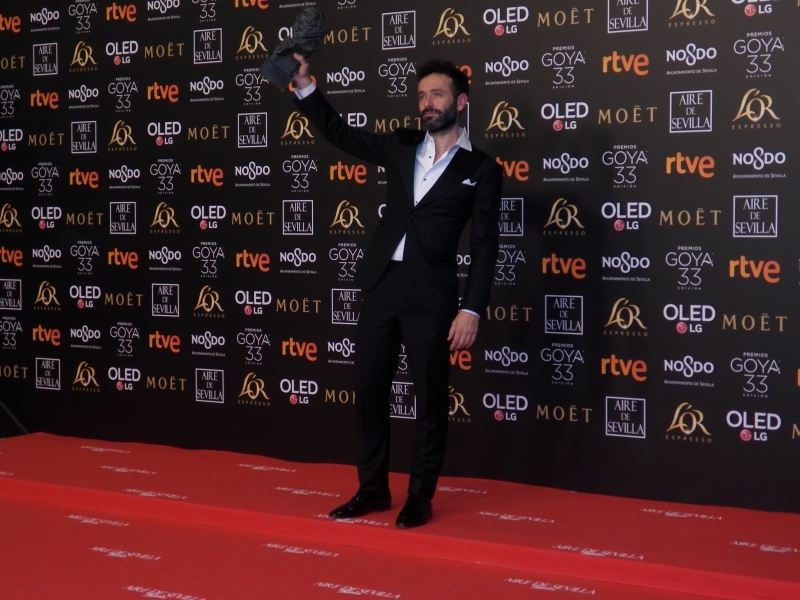 'Campeones' was the favourite with eleven nominations but finally was the looser because only won three awards, including the Best Novel Actor Award for Jesus Vidal and the best original song for 'Este es el momento' (This is the moment), performed by Coque Malla. The movie talks about a group of disabled people who play basket and manages to overcome its weaknesses. A social movie “that make visible the disabled people,” said Jesus Vidal. 'Campeones' will be the Spanish movie on the Mexican Ariel Awards, according the Academy of Arts and Cinematographic Sciences of Spain. As best Director, the Goya Awards named Rodrigo Sorogoyen for 'El reino' (The Kingdom). As best Actor was named Antonio de la Torre for 'El reino' and best Actress, Susi Sanchez for 'La enfermedad del domingo' (The disease of Sunday). 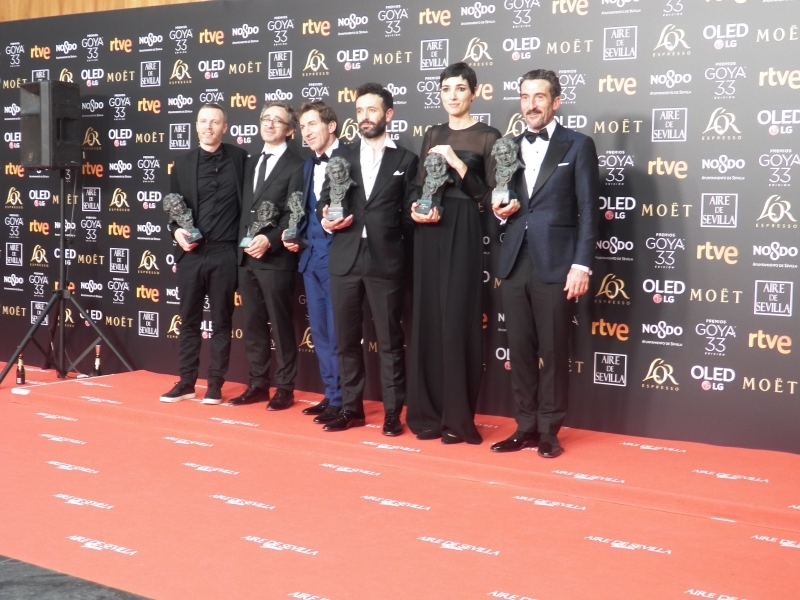 'El reino' was de winner in the Goya Awards gala, with seven awards, before 'La sombra de la ley' (The shadow of the Law) with three awards and 'Campeones' also with three awards. -Best Film Award: 'Campeones' (Champions). -Best Director Award: Rodrigo Sorogoyen, for 'El reino' (The Kingdom). -Best Actress Award: Susi Sanchez, for 'La enfermedad del domingo' (The disease of Sunday). -Best Actor Award: Antonio de la Torre, for 'El reino' (The Kingdom). -Best Secundary Actress Award: Carolina Yuste, for 'Carmen and Lola'. -Best Secundary Actor Award: Luis Zahera, for 'El reino' (The Kingdom). -Best Novel Actress Award: Eva Llorach, for '¿Quién te cantará?' (Who will sing to you?). -Best Novel Actor Award: Jesus Vidal, for 'Campeones' (Champions). -Best Novel Director Award: Arantxa Echevarria, for 'Carmen and Lola'. -Goya of Honor: Narciso Ibañez Serrador. -Best Director of Photography Award: Josu Inchaustegui, for 'La sombra de la ley' (The shadow of the Law). -Best Assembly Award: Alberto del Campo, for 'El reino' (The Kingdom). -Best Adapted Script Award: Alvaro Brechner, for 'La noche de doce años' (The night of twelve years). -Best Original Script Award: Isabel Peña and Rodrigo Sorogoyen, for 'El reino' (The Kingdom). -Best Art Director Award: Juan Pedro de Gaspar, for 'La sombra de la ley' (The shadow of the Law). -Best Sound Award: Roberto Fernandez and Alfonso Raposo, for 'El reino' (The Kingdom). -Best FX Effects Award: Lluis Rivera and Laura Pedro, for 'Superlopez'. -Best Documentary Short Film Award: 'Gaza', by Carles Bover Martinez and Julio Perez del Campo. -Best Cartoon Short Film Award: 'Cazatalentos' (Headhunters), by Jose Herrera. -Best Fictional Short Film Award: 'Cerdita' (Little Pig), by Carlota Pereda. -Best Cartoon Film Award: 'Un día más con vida' (One more day with life), produced by Kanaki Films and Platige Films. -Best European Film Award: 'Cold War', from United Kingdom. -Best Documentary Film Award: 'El silencio de otros' (The silence of others), by Semilla Verde Productions and Lucernam Films. -Best Latin American Film Award: 'Roma', from Mexico. -Best Original Song Award: 'Este es el momento' (This is the moment), by Coque Malla for the film 'Campeones” (Champions). -Best Soundtrack Award: Olivier Arson, for 'El reino', (The Kingdom). -Best Dress Design Award: Clara Bilbao, for 'La sombra de la ley' (The shadow of the Law). -Best Makeup and Hairdressing Award: Sylvie Imbert, Amparo Sanchez and Pablo Perona, for 'El hombre que mató a Don Quijote' (The man who killed Don Quixote). -Best Production Director Award: Yousaf Bokhari, for 'El hombre que mató a Don Quijote' (The man who killed Don Quixote).